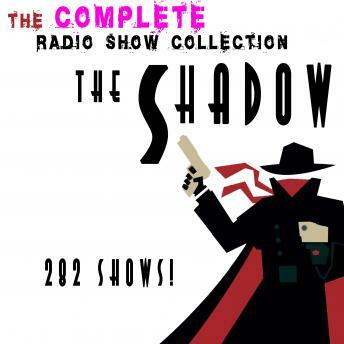 Listen to "The Shadow - The Complete Radio Show Collection - Including 282 Shows" on your iOS and Android device. The Shadow was long believed to have debuted on radio as a program in its own right on September 26, 1937, on the Mutual Broadcasting System. But the character actually premiered in September 1931, on CBS, as part of the hourlong The Blue Coal Radio Revue (named for the show's sponsor), featuring Frank Readick - The Shadow announcer of Detective Stories - as The Shadow, and playing Sundays at 5:30 p.m. Eastern standard time. The stories also appeared on Thursday nights for a month, when Love Story Drama (another Street and Smith creation) took the Thursday-night slot - but also featured occasional portrayals of The Shadow. This collection of The Shadow radio programs is the most complete collection io the market. It includes 282 shows.